NYC, you’re in for a treat! 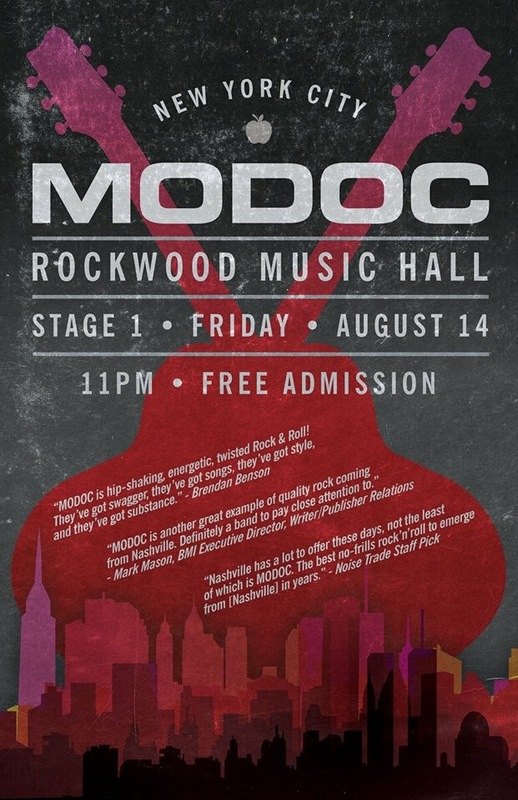 Nashville-based, swaggering rockers, modoc, will be passing through Manhattan tonight (8/14) and hitting the Rockwood Music Hall stage 1. Come by for their 11pm set! The cherry on top: it’s FREE! Get a sample of their face melting HERE.